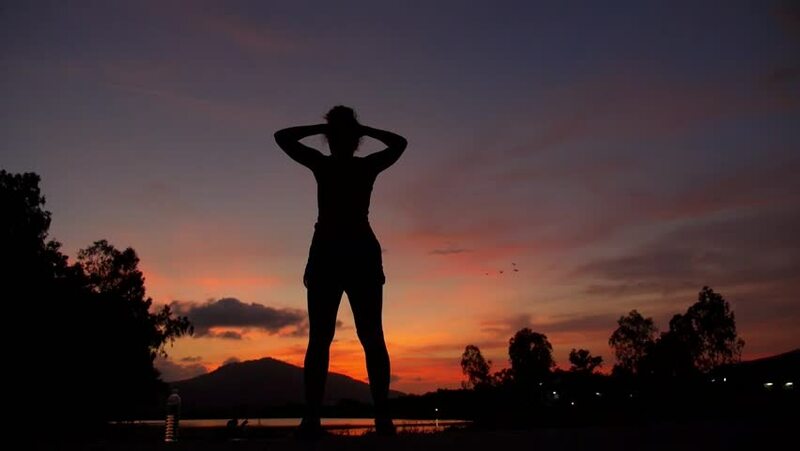 Successful Sportswoman Exercising and Working Out Outdoors at Amazing Colorful Sunset Sky. HD, 1920x1080. hd00:29Girls enjoy nature running, jumping, dancing in fields on sunset. Slow motion. hd00:14The bride is spinning around in her long white wedding dress at the top of the rock during the sunset. The horizontal portrait.